DOGA stands for innovative special-purpose machinery of the highest quality. Since the early 1980s, our passion has been finding creative ways to implement bespoke customer requirements. The company is now led by our second generation, combining decades of experience with a fresh, direct approach to innovation in step with our times. 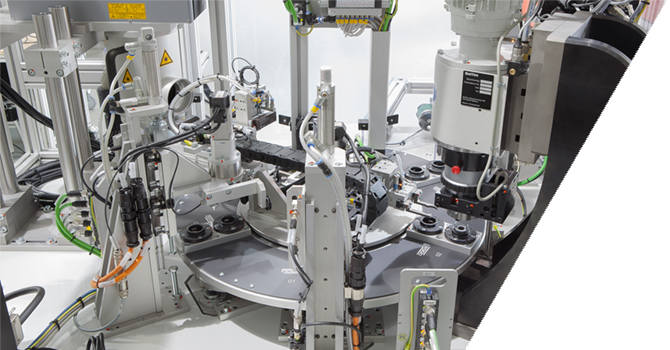 Our strength lies in bespoke custom solutions for special-purpose machinery and automating production sequences. We have experts from a wide range of disciplines under one roof to find those solutions. Our designers, engineers and software developers work side by side to find the best possible solution. Our range of services combines mechanical and control engineering as a single harmonious and homogeneous whole. On the one hand, we do planning, design, production and final assembly, then we also do electrical planning, electrical cabinet building, software development, commissioning and on-site service. We therefore combine the best of two worlds treated as distinct by trades, but indivisible in our eyes. You get the benefit as our customer. You can be sure you are getting an ideal bespoke solution with all components optimally coordinated. In short, your get exceptional quality from a single source! We are always happy to talk to you and tackle your challenge for special-purpose machinery. Our team will take your requirements and then design a bespoke solution, which will become a real special-purpose machine in productive use at your company.